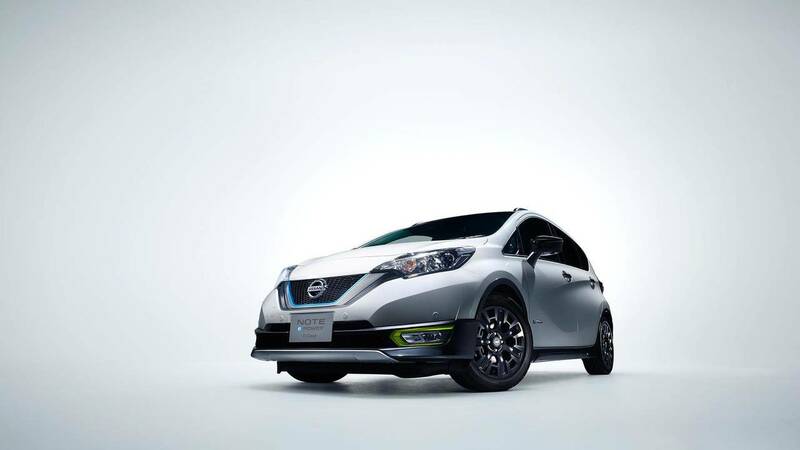 The Note E-Power C-Gear is Nissan's concept for a more rugged version of the little hatchback. Unfortunately, there aren't many changes beyond some wheel arch cladding and a new set of wheels. Inside, it features a green cloth upholstery.